Whether you are looking for a place to call home or a property to invest in, our team has the experience, insight and resources to help you make the right choice. Why would you choose to work with us? Quality construction, workmanship and building materials, not only affect a home’s durability over time, but the ongoing maintenance that will be required. Comfort through careful consideration of the home’s orientation on the site, structural and envelope integrity, heating & cooling systems, as well as the flow and usability of the floor plan. Savings associated with operating the home, which directly affect your monthly bottom line, and is determined by the HVAC system, appliances, lighting, windows, insulation and other features that are either resource efficient or not. Health and indoor air quality issues affected by the paints, finishes & building materials used, the ventilation system or lack thereof, as well as any moisture & mold problems. We recommend sitting down with a lender to determine the monthly payment and price range that works best for you. They’ll also provide you with a pre-approval letter, which is an essential part of making an offer on any home. See our Industry Pros page for local Seattle lenders we know and trust! Looking for a 'green' home? 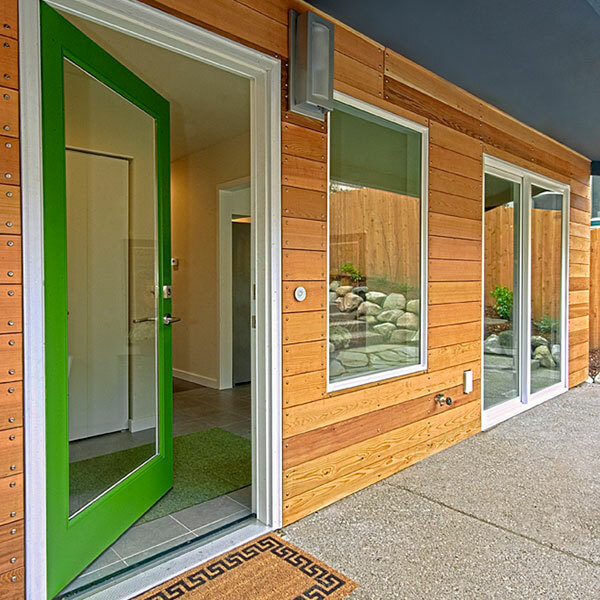 Green homes are designed and built with Quality, Comfort, Savings and Health in mind, but finding them, understanding to what degree these things were considered by the builder, and how the home was certified, is not always a straightforward process. We can help! There are 100s of established and forming communities around the Northwest selling units, yet they are rarely listed on the MLS. If you are interested in exploring what's available in communities in your area, browse our Communities page and give us a call.